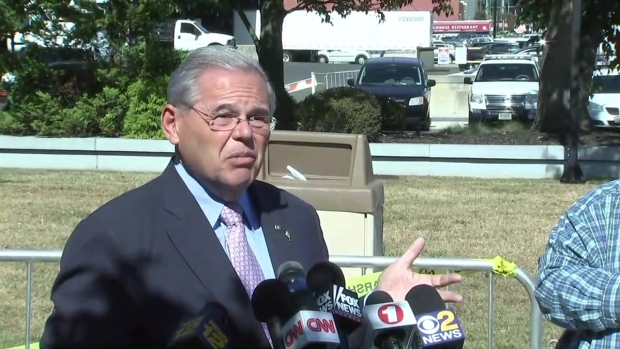 Sen. Bob Menendez was the "personal senator" of a wealthy donor who plied him with flights on his private jet and other gifts, a prosecutor told jurors in closing arguments at the pair's bribery trial Thursday. Jurors are scheduled to hear from both sides Thursday, and begin deliberations Monday. They have heard more than two months of testimony. The New Jersey Democrat is charged with accepting gifts from Florida eye doctor Salomon Melgen, his longtime friend, in exchange for using his political influence. Prosecutors have sought to show that Melgen lavished Menendez with flights on his private jet and luxury vacations so Menendez would help him with issues including a $9 million Medicare reimbursement dispute. Menendez lied on his Senate disclosure forms by not reporting the gifts, Justice Department prosecutor J.P. Cooney told jurors. "What was he so determined to hide? That he'd been bought by Dr. Melgen to serve as Dr. Melgen's personal senator," he said. "These two defendants can no longer hide behind their power and their wealth, or behind their staff members or their friendship." Defense attorneys for both men were due to give their closing arguments. They contend Menendez and Melgen were longtime friends who weren't involved in bribery and that Menendez was focused on policy issues when he met with executive branch officials. Neither man testified during the trial. Menendez, who served in the U.S. House of Representatives from 1993 before filling the U.S. Senate seat vacated when Democrat Jon Corzine became New Jersey governor in 2006, also is charged with making false statements for not disclosing the gifts on Senate ethics forms. If Menendez is convicted and steps down or is voted out by a two-thirds majority, outgoing Republican New Jersey Gov. Chris Christie could appoint a replacement, which could alter the makeup of the Senate. The trial has lacked a blockbuster witness, but prosecutors have introduced emails and testimony they believe will convince jurors that a bribery scheme existed between 2006 and 2013. They allege Melgen plied Menendez with gifts including flights on his private jet to the doctor's home in the Dominican Republic, a weekend at a luxury hotel in Punta Cana, and a stay at a $1,500-a-night Paris hotel. They say these gifts, along with more than $600,000 in contributions to political organizations supporting Menendez's 2012 re-election campaign, were inducements to get Menendez to pressure government officials to resolve two of Melgen's major problems: an $8.9 million billing dispute with Medicare and a stalled contract for port screening equipment in the Dominican Republic. They also say Menendez interceded in the visa applications of three women purported to be Melgen's girlfriends. 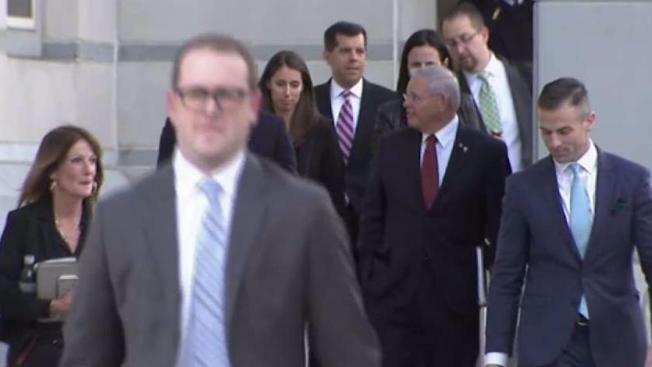 Defense attorneys say the gifts were an outgrowth of the two men's friendship, and that Menendez regularly paid his own way to visit Melgen in the Dominican Republic dating to the 1990s. They attacked the government for allegedly using a "mix and match" strategy to tie flights Menendez took on Melgen's private jet with meetings or conversations he had with government officials weeks or months later, in some cases. 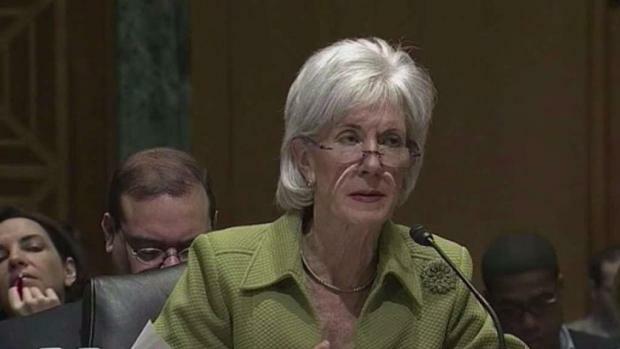 Menendez's meetings with government officials were about policy issues and not Melgen's specific disputes, they contend.